To celebrate its launch, Sing’Baroque organises a concert by Red Dot Baroque, featuring a Tour of Baroque Europe around the theme “The Seasons of Love” on Sunday, 6 January at Chijmes. Sing’Baroque is a new Academy of Baroque Music in Singapore. Its purpose is to promote the listening and practise of Baroque Music in Singapore and beyond. Sing’Baroque wants to renew the experience of musical performances to enchant music lovers and wow a new audience. It will in particular invite only ensembles that modernise the practise of Baroque music on period instruments, use modern technologies for staging and create for each concert a programme with a narrative that engages a contemporary audience. 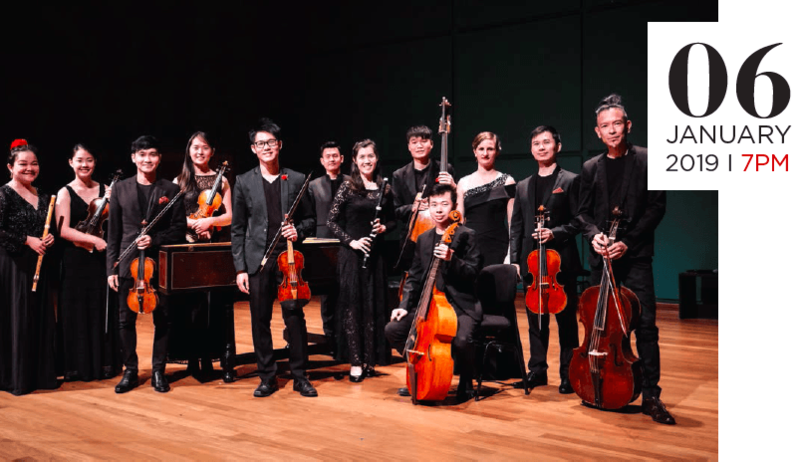 Red Dot Baroque, led by artistic director Alan Choo is the first ensemble specialised in the interpretation of Baroque Music on period instruments in Singapore. The program includes some well-knows pieces (Vivaldi’s Four Seasons, Purcell’s Music) and lesser known composers like Lambert, or Strozzi and will enable to discover the Baroque era from its beginnings to the end, in Italy, France, England and Germany. The concert will be followed by a Champagne cocktail party during which the activities of the Academy will be presented.